Who will replace the current Secretary of State John Kerry once the President-elect Donald Trump takes over the White House in January? It will no doubt be one of the most important decisions when it comes to Trump’s foreign policy. South Carolina Gov. Nikki Haley is under consideration by President-elect Donald Trump for secretary of state, and other cabinet positions, a transition source told CNN Wednesday, despite their rocky history. One thing in common with all of the candidates for Secretary of State is that they all seem to be pro-Israel which should be a serious concern for the Middle East. 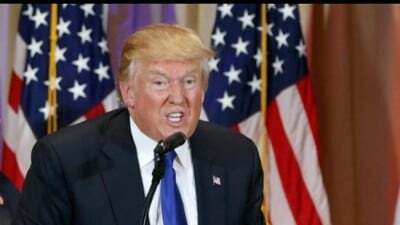 Trump said he would like to orchestrate a peace deal between the Palestinians and the Israeli’s, but to the contrary Israeli hardliner and Education Minister Naftali Bennett declared that the “era of the Palestinian state is over” when Trump was declared the winner of the elections. That statement is not encouraging for the Palestinians who support a two-state solution. Prime Minister Benjamin Netanyahu called Trump a “true friend of Israel”. So what do the Israelis know that we don’t know about Trump’s foreign policy in the Middle East? In Gaza, Iran is supporting Hamas and Islamic jihad. And in the West Bank, they’re openly offering Palestinians $7,000 per terror attack and $30,000 for every Palestinian terrorist’s home that’s been destroyed. A deplorable, deplorable situation. Iran is financing military forces throughout the Middle East and it’s absolutely incredible that we handed them over $150 billion to do even more toward the many horrible acts of terror. Secondly, we will totally dismantle Iran’s global terror network which is big and powerful, but not powerful like us. Iran has seeded terror groups all over the world. During the last five years, Iran has perpetuated terror attacks in 25 different countries on five continents. They’ve got terror cells everywhere, including in the Western Hemisphere, very close to home. Iran is the biggest sponsor of terrorism around the world. And we will work to dismantle that reach, believe me, believe me. Trump’s comments that “Iran is the biggest sponsor of terrorism” will raise tensions with Tehran as more evidence points to the fact that Trump’s will most likely appoint a pro-Israel, anti-Iran Secretary of State. “We must commit ourselves to unconditional victory against them [terrorists],” Giuliani said. “This includes undoing one of the worst deals ever made – Obama’s nuclear deal with Iran that will eventually let them become a nuclear power and is putting billions of dollars back into a country that is the world’s largest supporter of terrorism. Jason Greenblatt, who Mr. Trump named co-chair of an Israel policy committee during his campaign in July, on Thursday played down any risk from the building activity to peace prospects. Trump called Obama’s and Clinton’s foreign policies in the Middle East (Iraq and Syria) and Northern Africa (Libya)“disasters”, but Trump’s policies are following in the same footsteps of previous administrations. Although Trump has suggested that he is opposed to targeting Bashar al-Assad and the Syrian government and has emphasized attacking the Islamic State with Russia, Trump’s statements against Iran is provocative. Trump was called an anti-establishment candidate but is eying several Republican neoconservatives and Washington insiders from previous administrations. If Trump selects John Bolton, a neoconservative war hawk from the Bush administration who perceives Iran, Russia and China as enemies of the United States, the world would witness a rise in tensions or even a possible war against Iran. Trump believes that the Iranian nuclear deal would allow Iranian government to develop nuclear weapons that would eventually be used against the United States, Israel or Europe. The agreement was inked by Iranian Defense Minister Brigadier General Hossein Dehqan and his Chinese counterpart General Chang Wanquan in Tehran on Monday at the end of an earlier meeting between the two sides. So the prospect for peace in the Middle East seems like a slim chance under a Trump presidency although he wants peace with Russia and to a point peace and economic cooperation with China. Will Trump or his newly appointed Secretary of State come to realize that war against Iran means war against Russia and China?